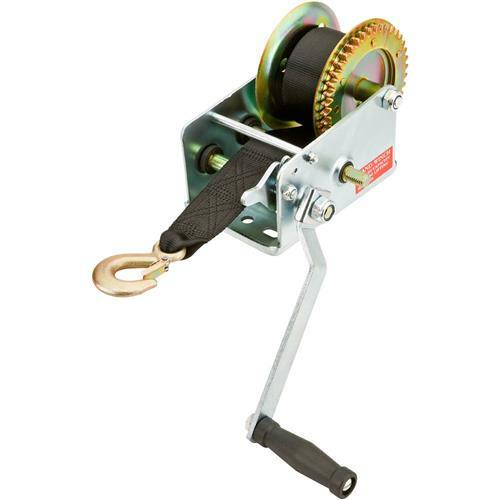 These Hand Winches with Nylon Straps are perfect for boat trailers. Nylon straps are non-marring and lie flat, so there's no cable binding for easy free-spooling when hooking to your boat. Hook includes safety keeper. 2000 lb. capacity. I bought this item for a summer project and summer is a few months away i had other things i needed to order and it was convenient.